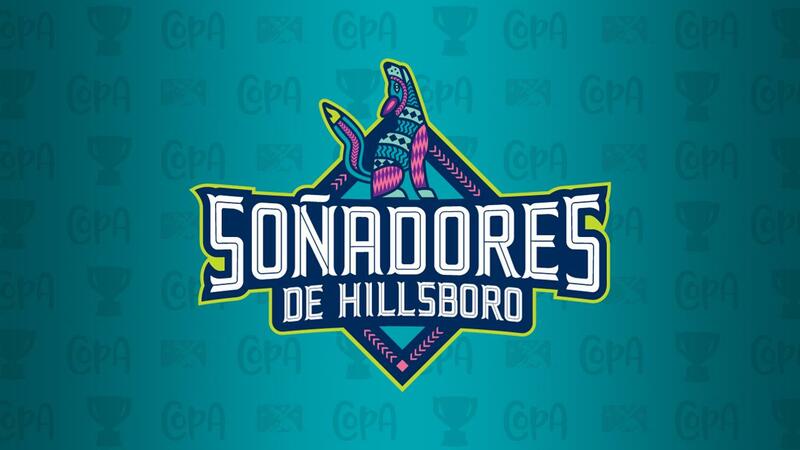 HILLSBORO, OR (March 18, 2019) -The Hillsboro Hops (@HillsboroHops) announced that the team will rebrand themselves as "Soñadores de Hillsboro" for four home games during the 2019 season starting on June 28. This rebrand is part of MiLB's national "Copa de la Diversión" initiative and 72 teams from across the country will participate. Further expanding its award-winning brand identity, the Hops will wear special uniforms and caps on field for all Soñadores de Hillsboro Nights at Ron Tonkin Field during the 2019 season. The uniforms are made by Nike. Each night will feature food specials that align with the promotions. The Hillsboro Hops hope to make the new Latinx fans welcomed at their casa - Ron Tonkin field. A "Plan de Soñadores" will be available for fans wanting to purchase a mini-season ticket plan to the 4 games where the Hops will celebrate their Spanish-speaking fans and players. Purchase tickets online or at the Hops ticket office. "We are really excited to launch this brand which we think will resonate with our entire fan base," said Hops President K.L. Wombacher. "Everyone has a dream and we see our Soñadores brand to be a unifying connection among all ethnic backgrounds." The Hops merchandise store will feature Soñadores de Hillsboro replica jerseys as well as on-field caps.